Without doubts, every single enterprise has a set of rules that should be followed by all of its clients: such a listing may ultimately include regulations, prohibitions, as well as some helpful pieces of advice. 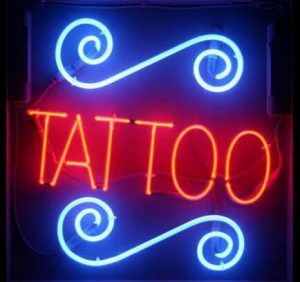 The tattoo business, what’s worth noting, is not an exception to this rule, which is why it makes a perfect sense to delve into some of the specifications before visiting a tattoo parlour. Below, you can find the most helpful things that would be of need to you if deciding to visit a tattoo place. First of all, it may be helpful for you to know what you’re looking for in terms of tattoos. Do you have a clear design in mind? Perhaps, you have knowledge in regards to the style? What about the size and the concrete body parts suggestions? It’s kind of vital to answer these questions before even considering asking a tattoo professional for the work to be done. Secondly, you should realize that all the tips that you give during the work should be no-brainers. As a general rule of thumb, every tattoo artist knows what he or she is doing, which is why there is no need to interrupt the process with you would consider making sense. At the same time, don’t forget about tipping or appreciating the work of the tattoo artists. In most cases, they are handling something truly special (your body), which is why they deserve some recognition in the long-term perspective. You can feel free to leave some extra cash, write a review of the tattoo artist that you liked as well as recommending a parlour to all of your friends who are fond of tattooing. Such steps are not obligatory but show some good ethics and are valued by the people who work in the industry. All the while, you shouldn’t really consider drinking or be high to ease the overall process for yourself. There is a slight chance that you may forget the initial reason why you came to do the tattoo or overwhelm the artist with the smell and mood that you currently behold. As soon as the proficient artist sees some signs of alcohol abuse, he or she is going to refuse to service you, which may be pretty unfortunate. Thus, it makes a perfect sense to stay sober and abide by all the common sense rules set by the artist all across the globe. Finally, you should not forget to maintain a solid level of personal hygiene when wanting to undergo the tattooing procedure: it’s just going to make the overall process for all the parties involved, making it imperative to do so in the long-term perspective.